Tickets help keep track of all your customer interactions as they progress over time. The tickets tool includes a default Support pipeline that you can use to manage your ticket statuses. 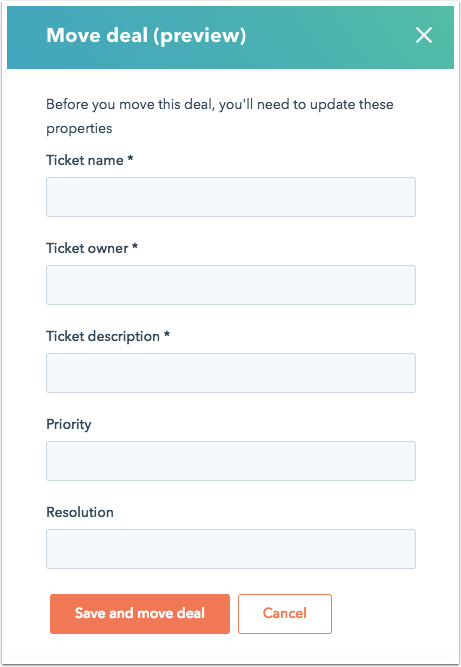 You can also set up custom ticket pipelines and stages to define a simple business process around responding to your customers. In the left sidebar menu, navigate to Service > Tickets. In the Ticket pipelines and stages section, click + Add another pipeline. In the dialog box, enter a Pipeline name and click Create. 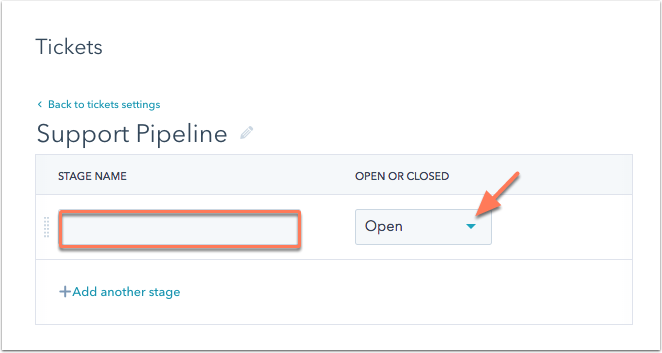 In the Ticket pipelines and stages section, click the name of a pipeline. Click + Add another stage. Enter a ticket stage name, then click the dropdown menu in the Open or closed column and select if the ticket stage should set a ticket as Open or Closed. To reorder a ticket stage, click and drag it to a new position. You can customize the ticket properties presented to users when a ticket is moved to a specific stage in one of your ticket pipelines. Please note: you must have permissions to edit property settings to customize ticket stage properties. Hover over a ticket stage and click Edit properties. In the dialog box, search for a property to add and select the checkbox to add it to the ticket stage. 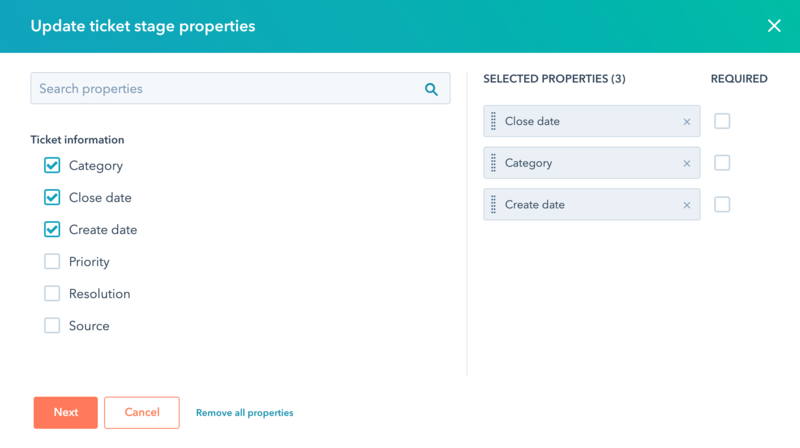 To require a value for a property, select the checkbox in the Required column. To preview what your users will see when they move a ticket to this stage, click Preview popup.